1) Name the first meteor shower of a year? 2) Name the last meteor shower of a year? 3) How is a meteor different from a meteoroid or a meteorite? 4) Name the meteor shower that happens in the month of April. ​5) Name the first meteor shower of May. 6) Name the most prominent meteor shower that happens in the month of October. 7) Describe the type of stars that can become a shooting star. 8) Name the meteor shower that would happen in the month of August. 9) Name the last meteor shower of May. ​10) What is the meteor shower that happens in the month of November? 1) Quadrantids is the first meteor shower that happens in a year and it happens in January. 2) Geminids is the last meteor shower of a year and it happens in December. 3) A meteoroid is a space rock with a radius of 20 meters or less. It becomes a meteor when it enters our atmosphere and burns up. Usually most of these space rock gets burnt in the atmosphere and would never reach the ground. If a portion of the space rock manages to reach the ground, then it is called a meteorite. ​4) Lyrids is the meteor shower that happens in the month of April. 5) Eta Aquarids is the first meteor shower to happen in the month of May. 6) Orionids is the most prominent meteor shower that happens in the month of October. As the name suggests, it would appear to originate from the Orion constellation. 7) A star does not become a shooting star. 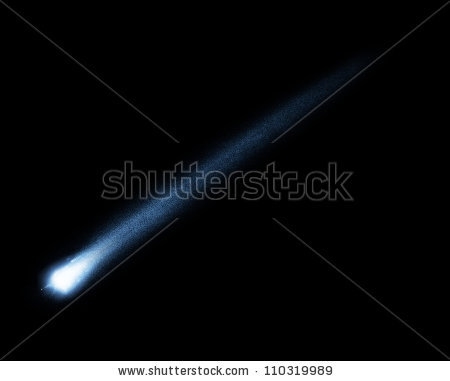 It is only the cometary debris that becomes a shooting star as it enters the Earth's atmosphere. Some of these particles are just the size of a small pebble. 8) Perseids is a noted meteor shower that happen in the month of August. 9) Comet 209P / Linear is the last meteor shower that happen in the month of May. 10) Leonids is a popular meteor shower that happens in the month of November. Meteor showers are highly concentrated bursts of shooting stars in a given night. Dust and the debris are left behind by some comets on the path of the Earth's orbit. These debris from the comet burns up when it enters the Earth's atmosphere. This falling debris gets burnt as it enters the atmosphere and appears as a shooting star to us. These shooting stars are called meteors. If more number of meteors happen in a single night, it is called a meteor shower. Amateur astronomers take a huge interest in staying awake and watching this spectacle. So find out how much you know about Meteor showers by taking this quiz.